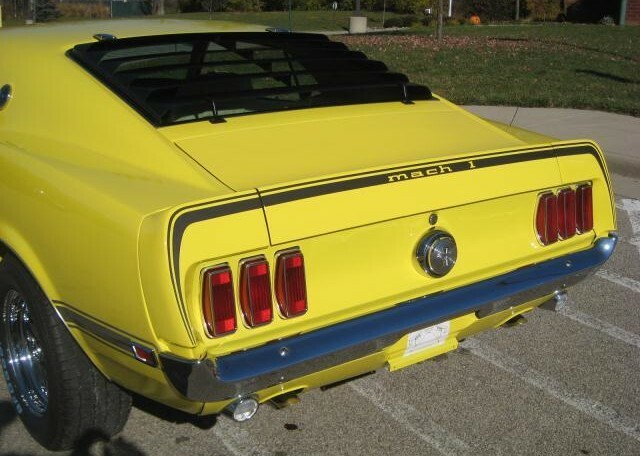 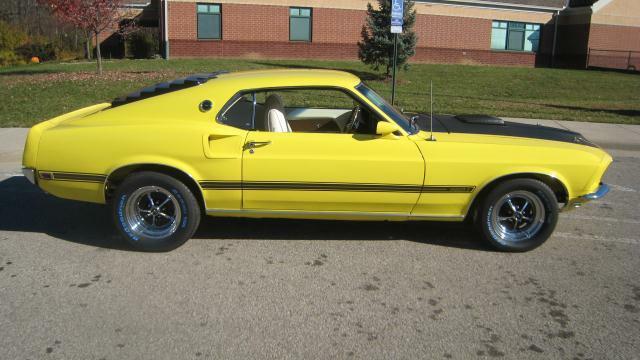 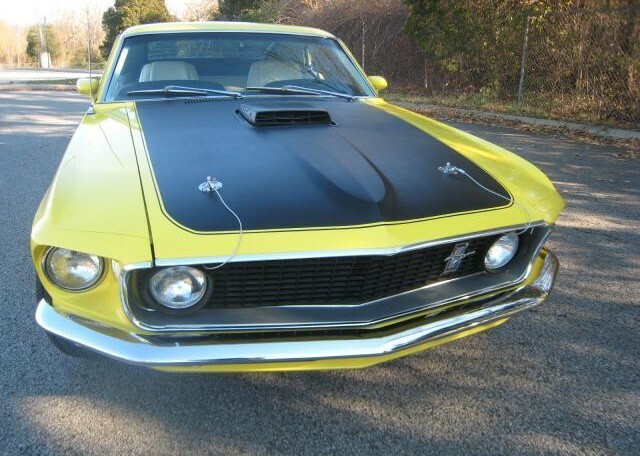 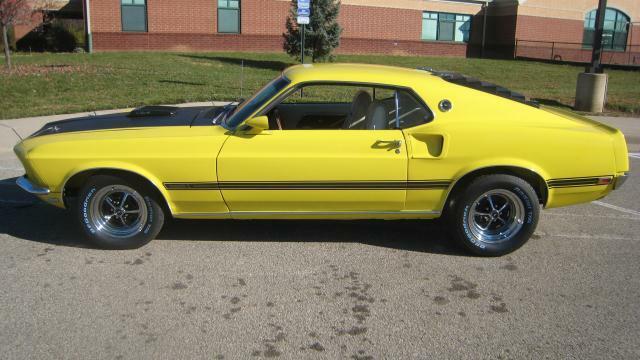 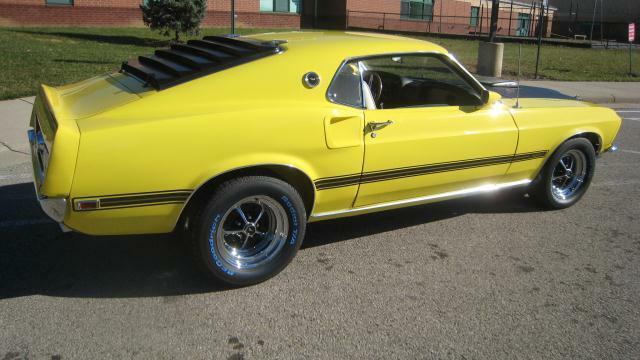 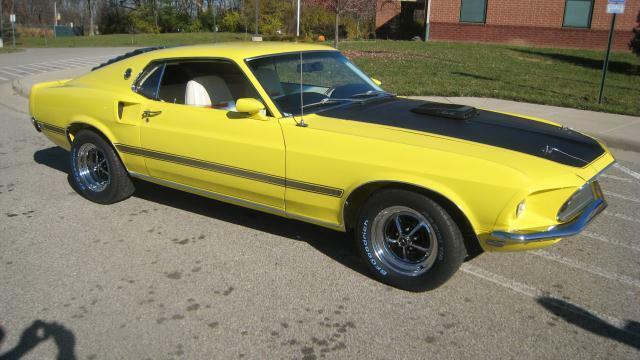 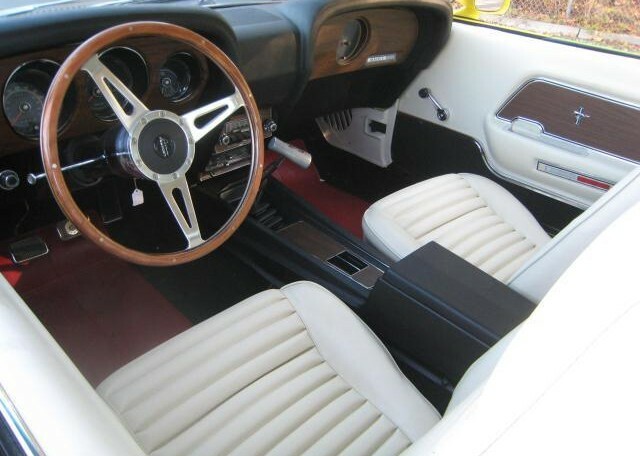 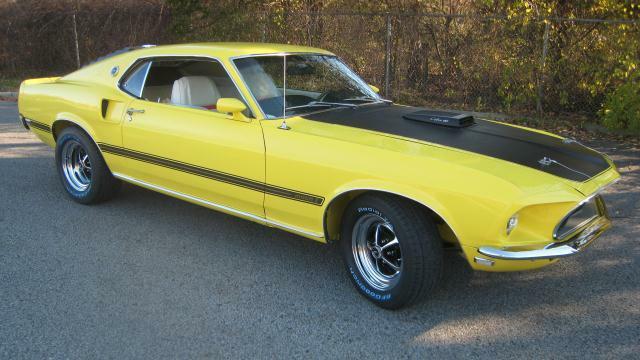 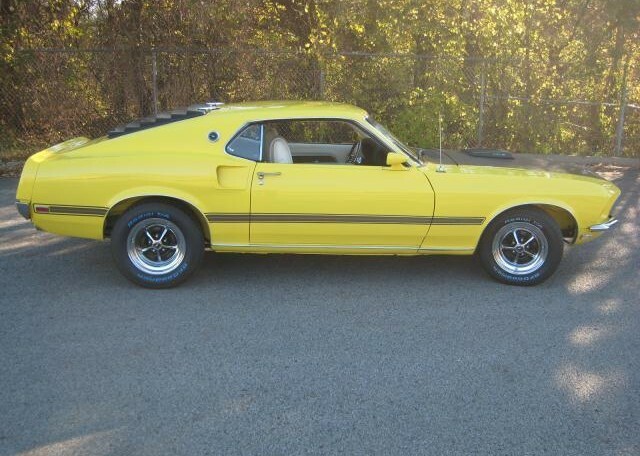 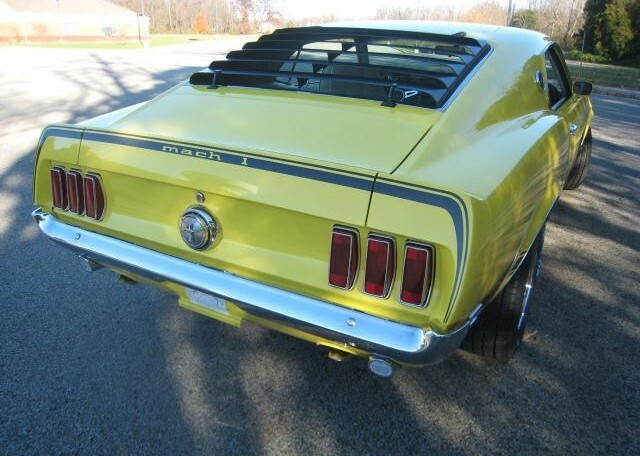 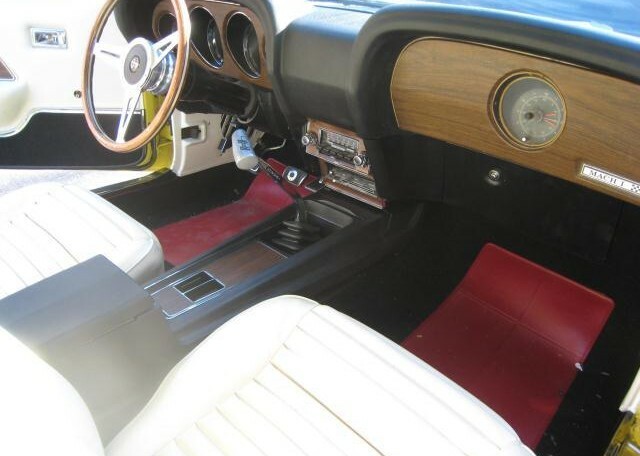 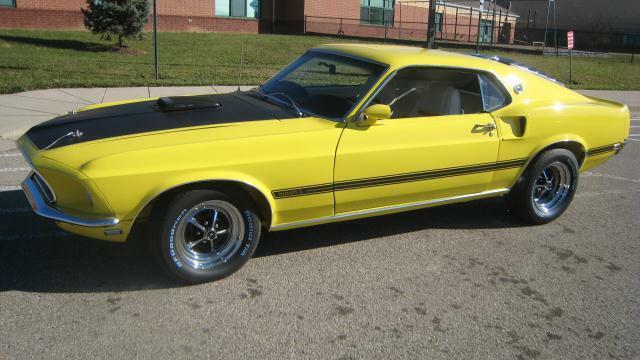 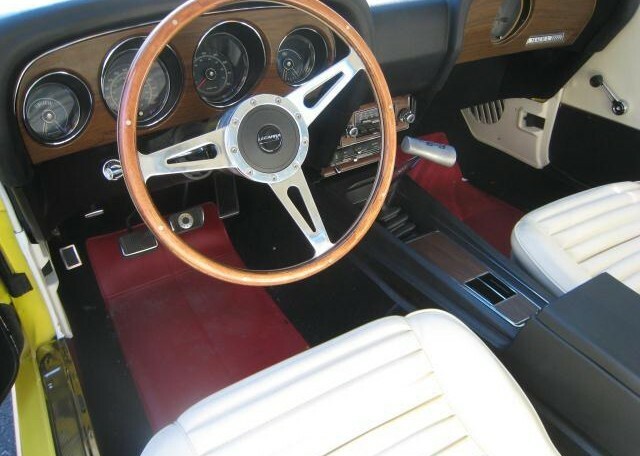 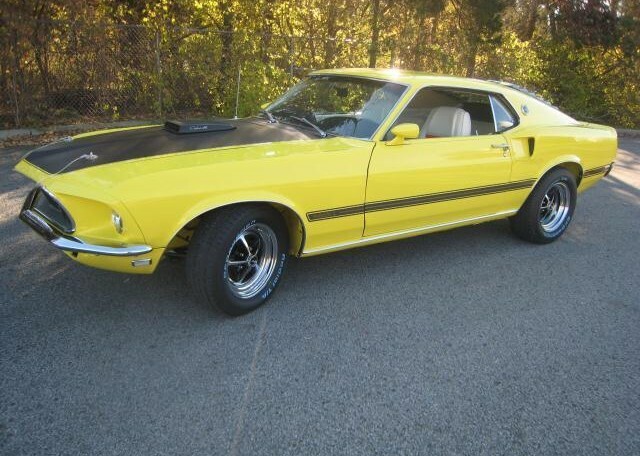 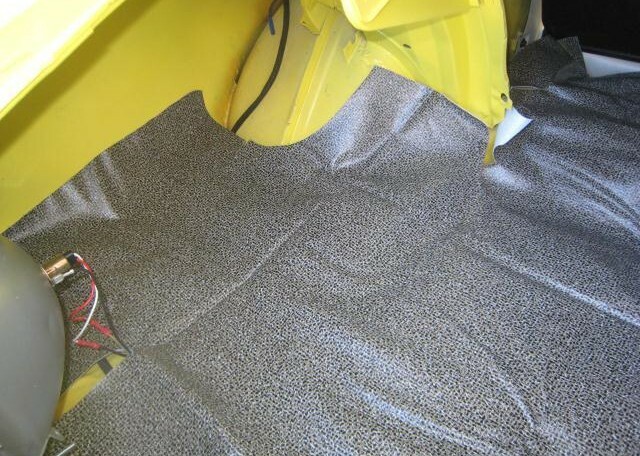 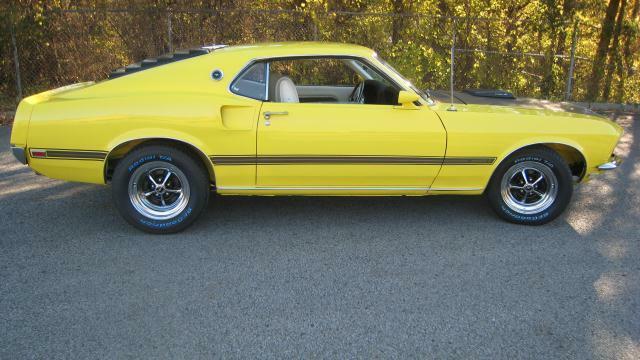 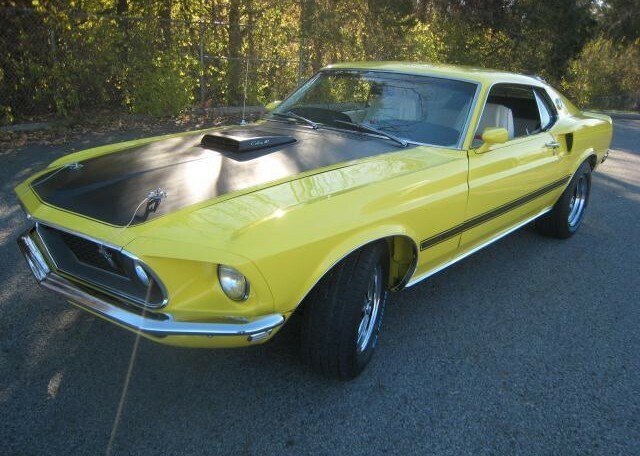 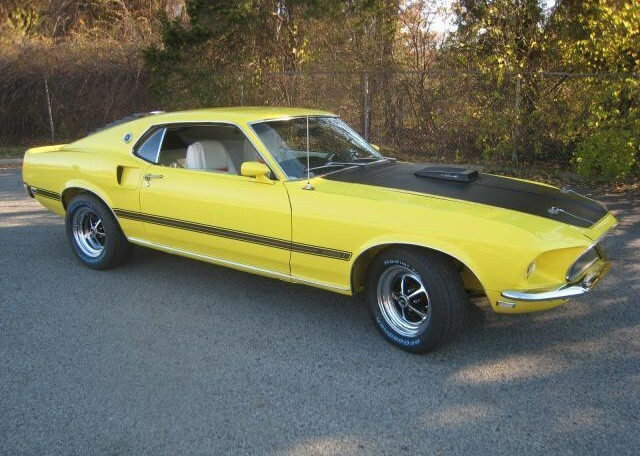 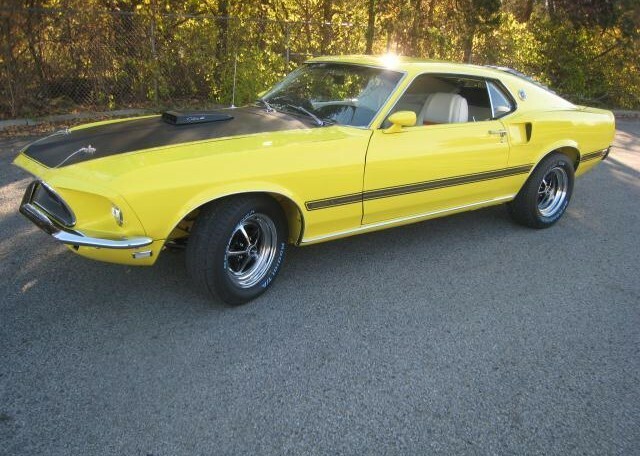 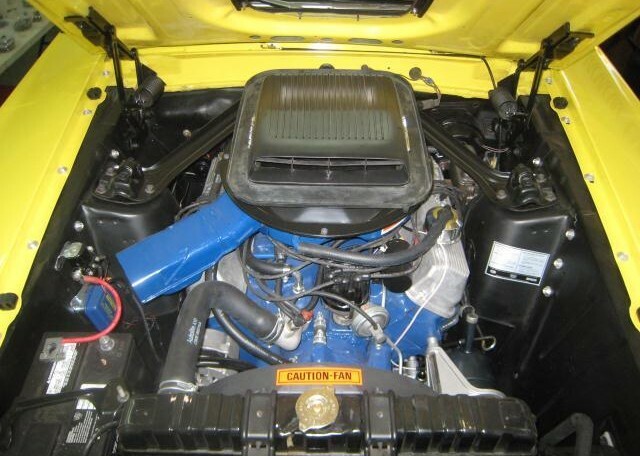 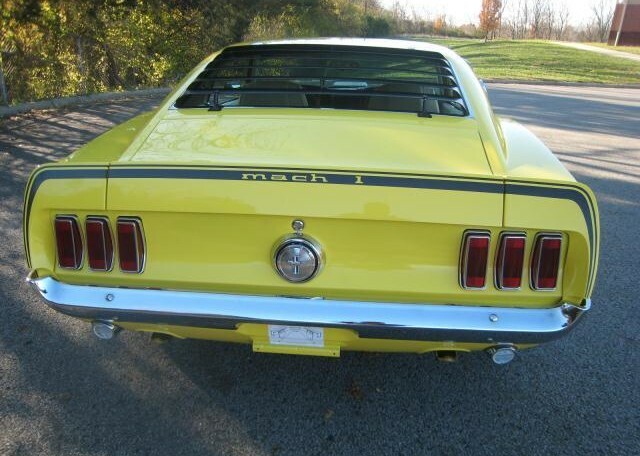 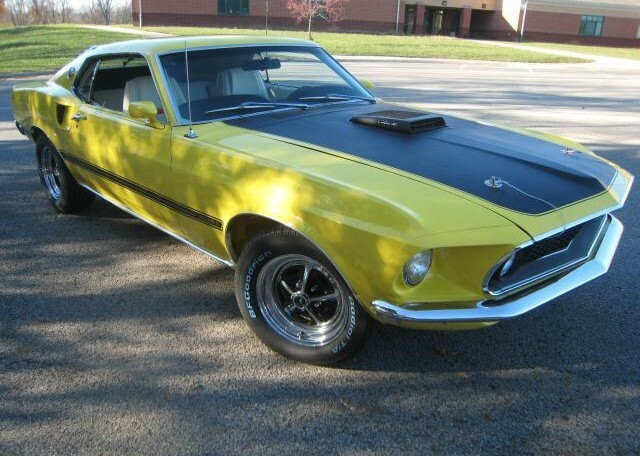 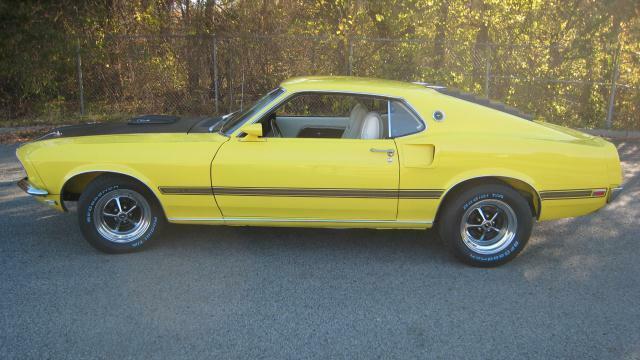 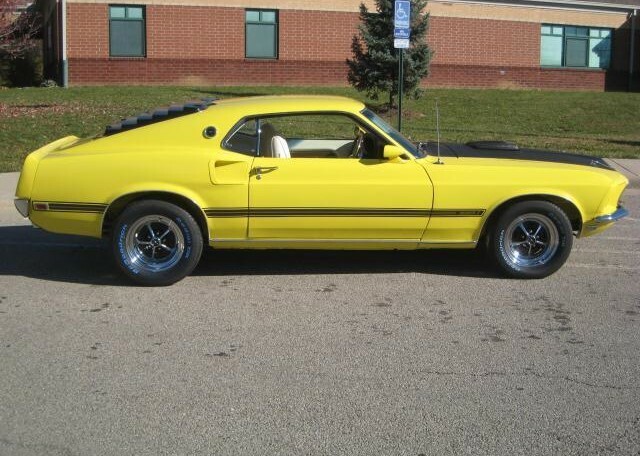 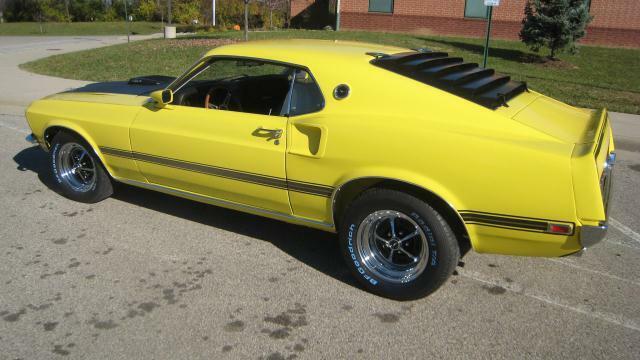 1969 Mustang Mach 1, R-code, SUPER COBRA JET, C6, Yellow/white interior, TASCA FORD sold car. 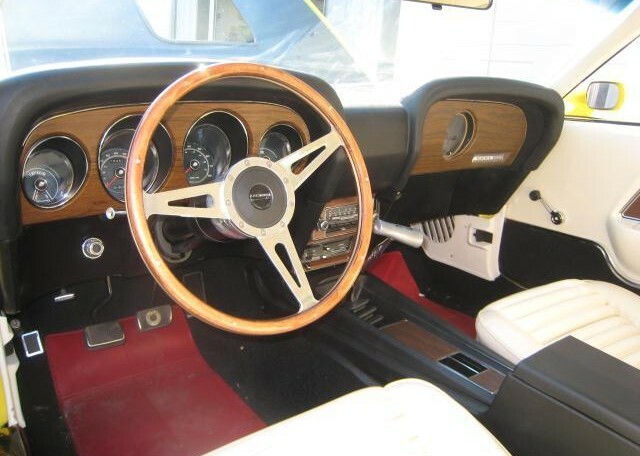 79,261 Actual miles. 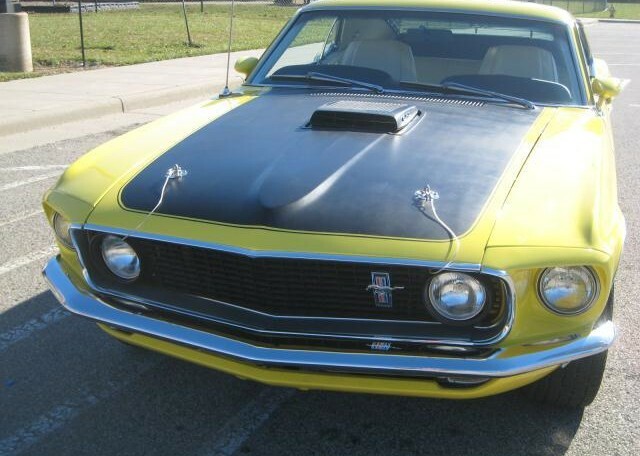 Total restoration started and has just been finished with a complete professional paint job. 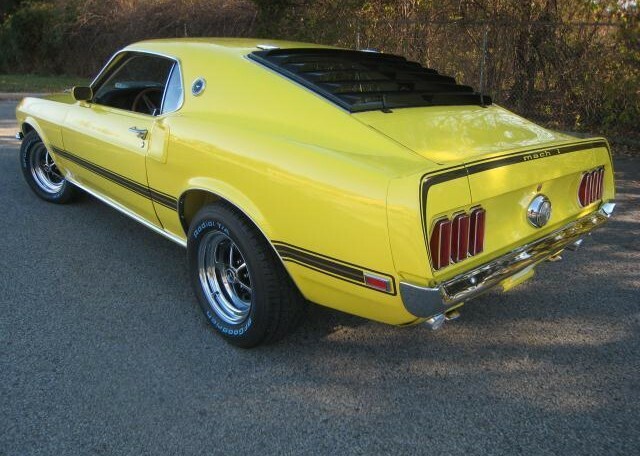 We made a change in the color yellow to a rare and beautiful Shelby yellow color that is much more popular then meadowlark. 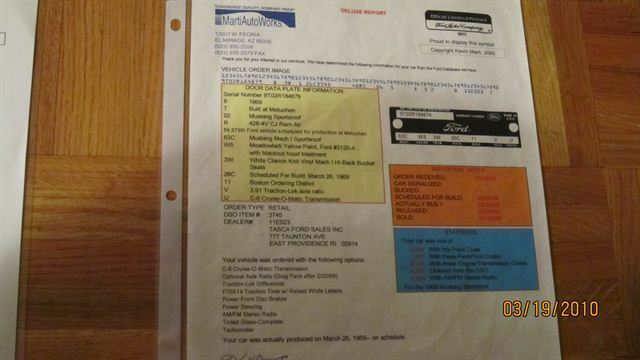 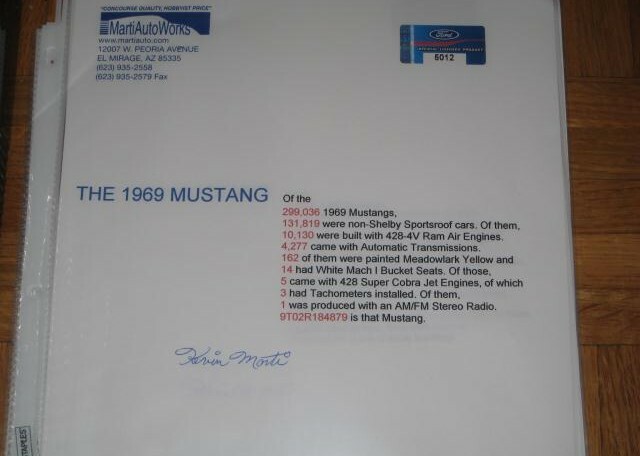 (WT6066) Its also fully documented now as a 1 of 1 car with an Elite Marti report! 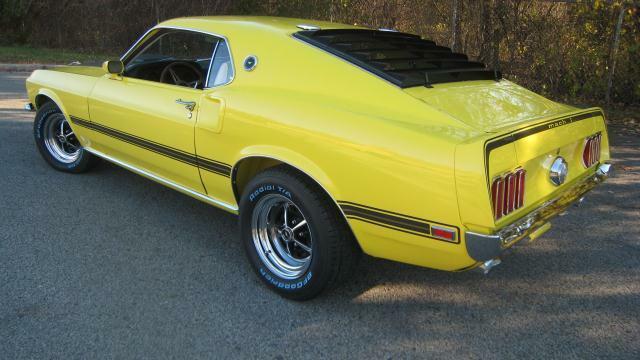 We have decided to upgrade this car to a 4-speed since it came factory with the Tach dash option and it being a super cobra jet drag pack, we just know most guys would love a 4 speed in this car. 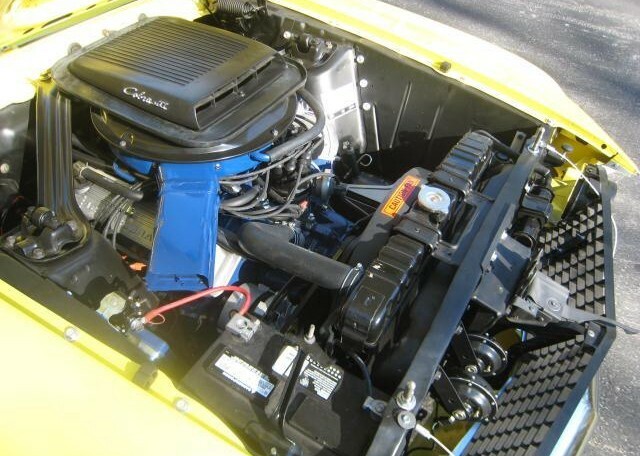 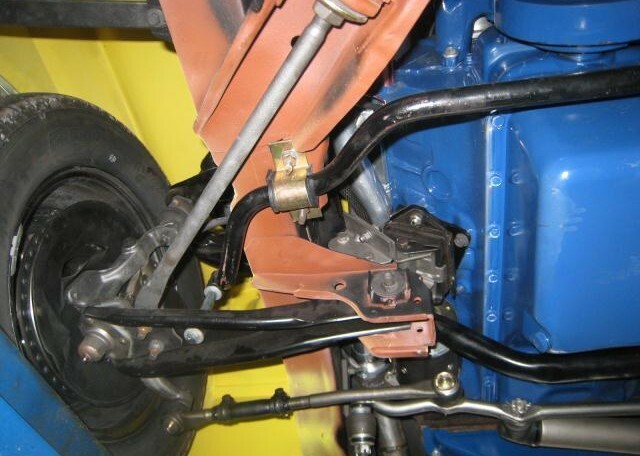 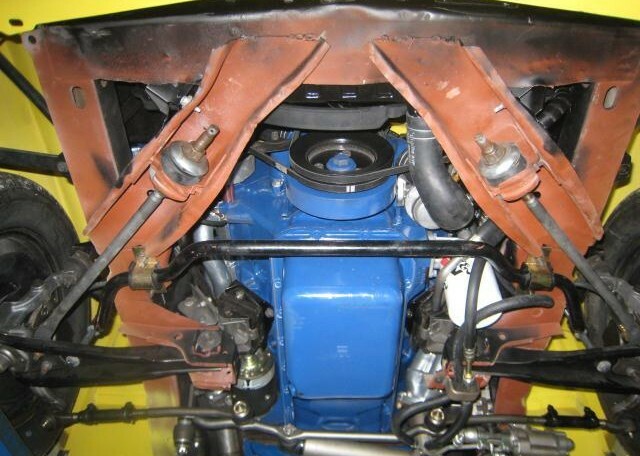 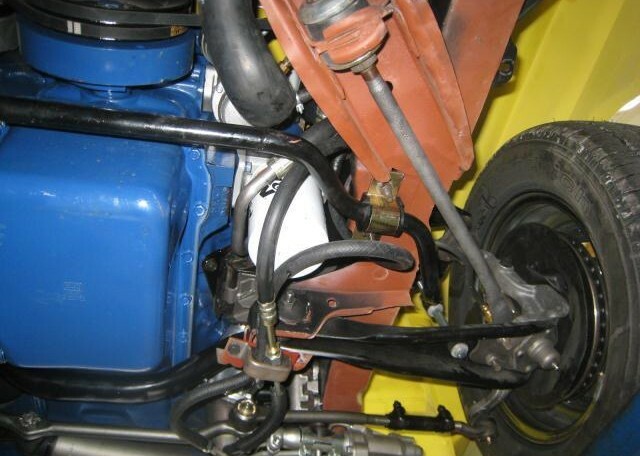 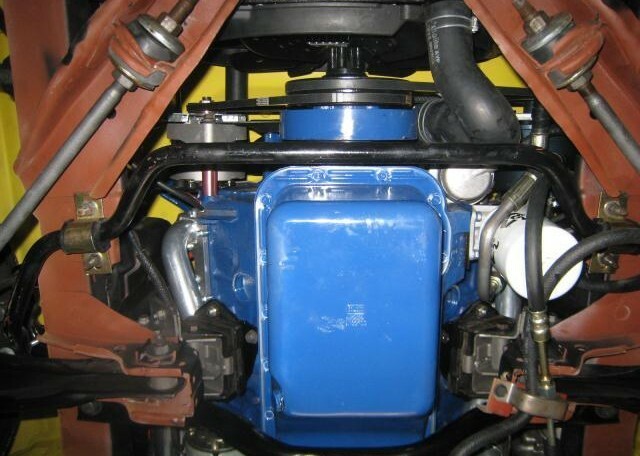 This engine is our best built, most expensive and professionally built engine to date. 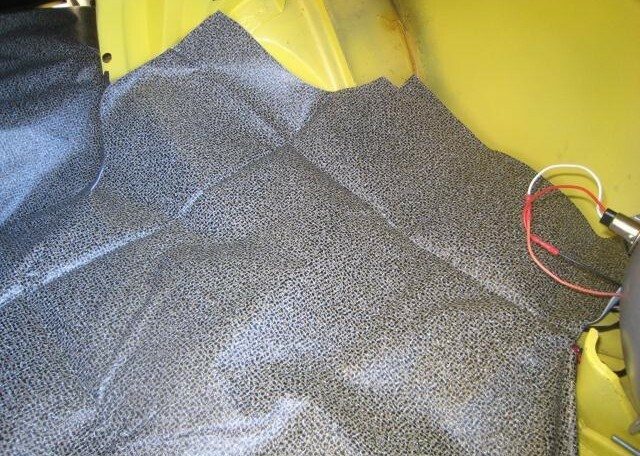 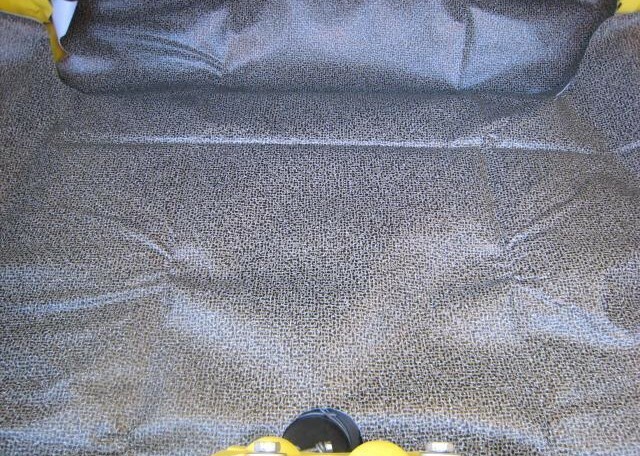 Completely blue-printed and balanced with the best machine work and we used the best internal parts available. 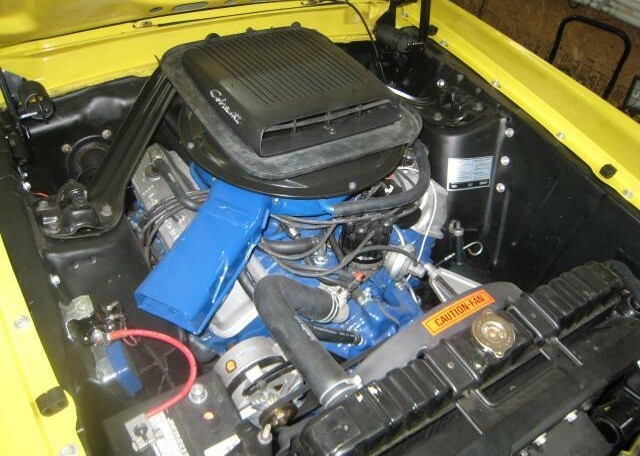 We even had the shop break-in the engine on their dyno, so its ready to run! 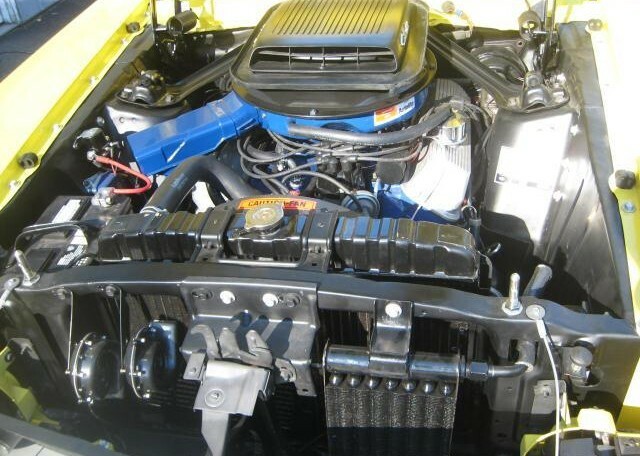 The heart of this car is an incredible monster that will be strong for many years to come! 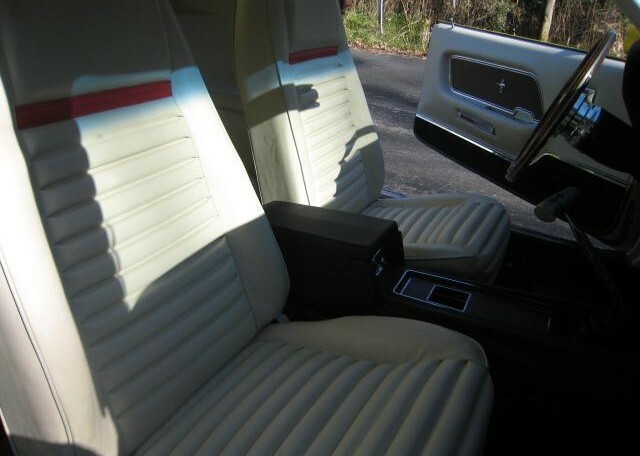 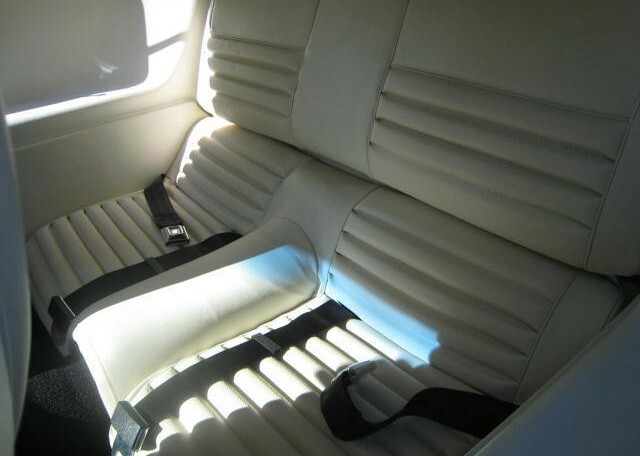 All new interior soon to be installed, so this car is priced as a turn key, finished car.Documented 1 of 1 Super Cobra Jet Mach 1. 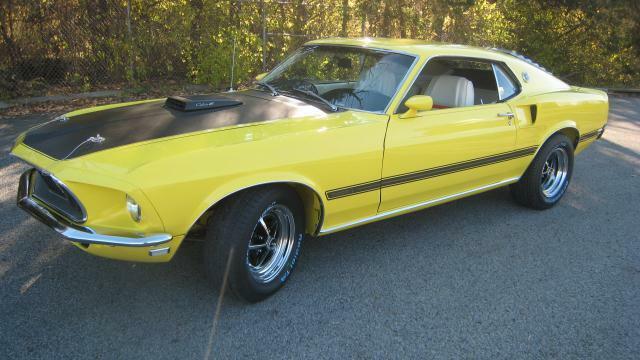 Rare Drag-Pack car which was originally sold from the Famous Tasca Ford. 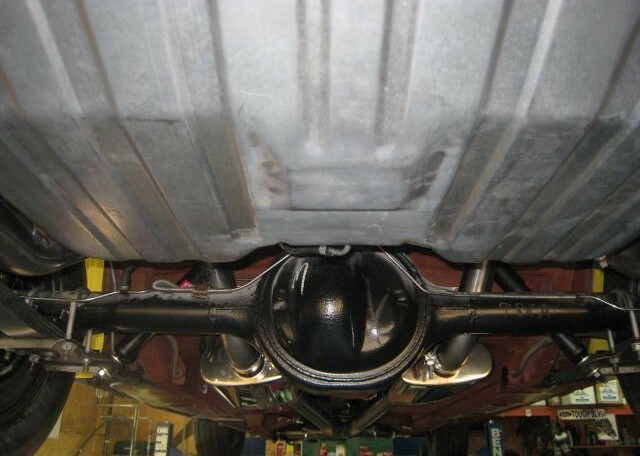 This car was just treated to a complete rotisserie restoration. 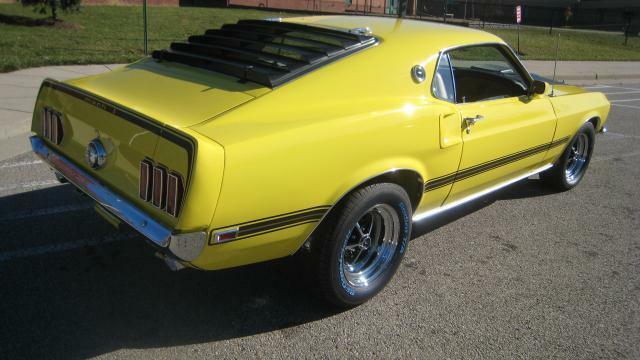 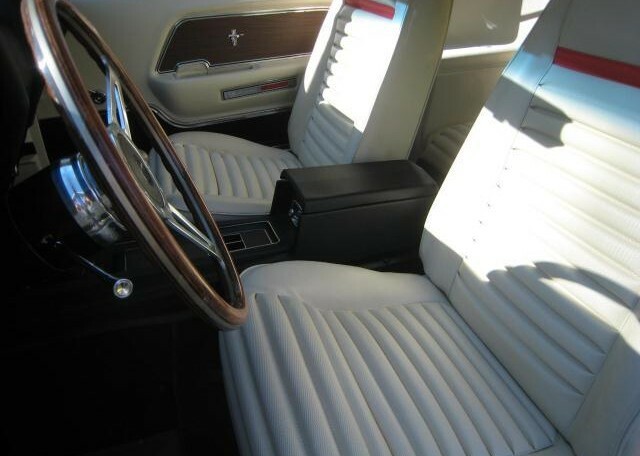 This is a head-turning, classic muscle car and a thrill to drive! 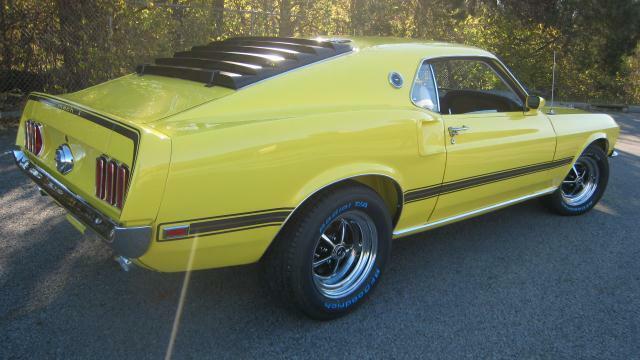 Here we have a 1969 428 Super Cobra Jet Mach 1. 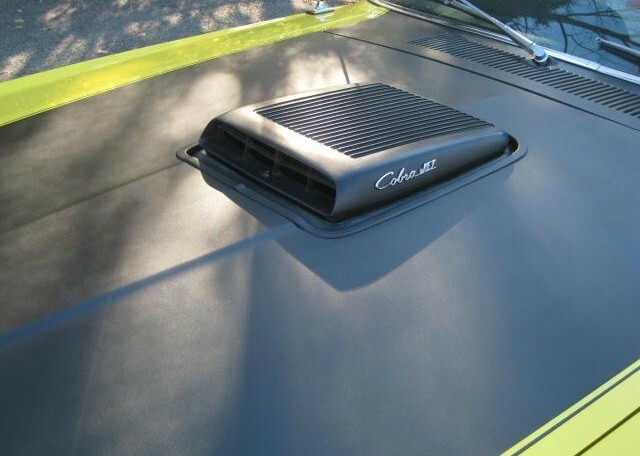 Factory R-code, Ram air shaker hood ,428 SCJ engine. 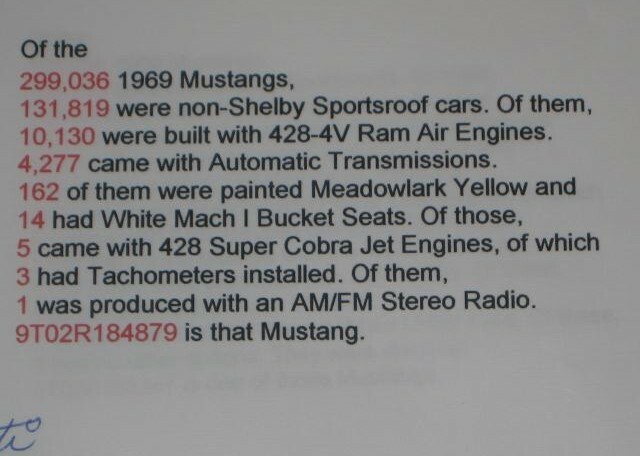 Originally sold at the famous Tasca Ford Dealer which was the leader in racing and developing these cars throughout the 60’s. 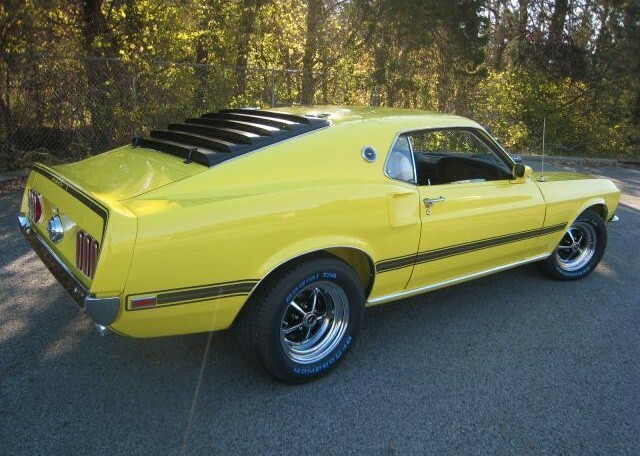 This car is documented 1 of 1 and originally came in Meadlowlark yellow/white interior, equipped with C6 Auto, Trac-lok 3.91 axle ratio (Drag Pack), Pwr steering, pwr brakes, am/fm, tinted glass and Tachometer. 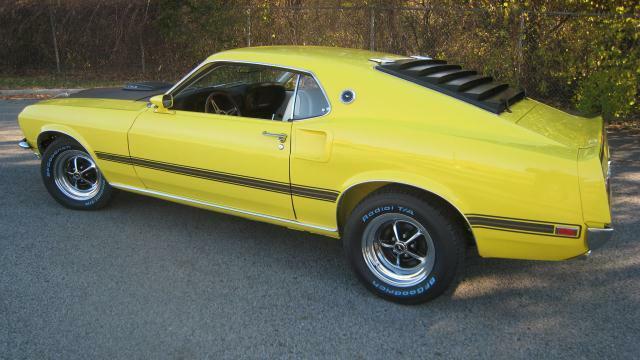 We have upgraded the car with an original 4 speed transmission and also changed the color to a rare Shelby Yellow to honor the late Carroll Shelby. 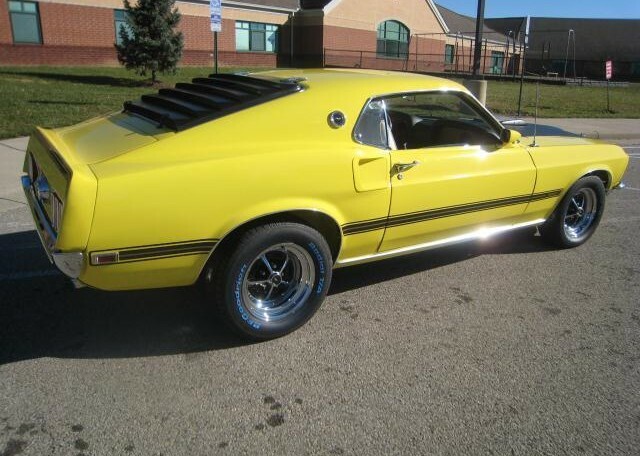 This car had a fresh, rotisserie restoration just completed. 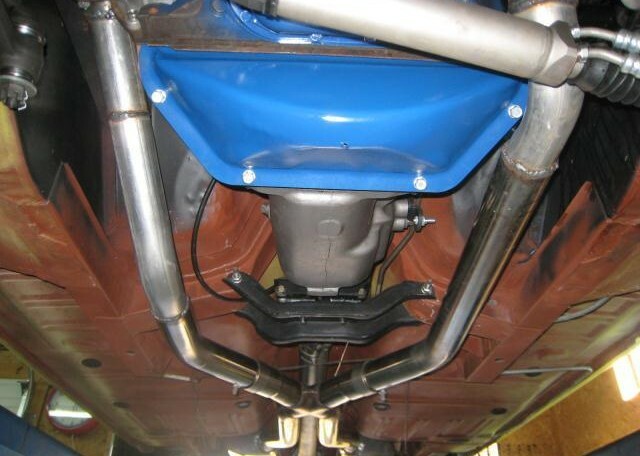 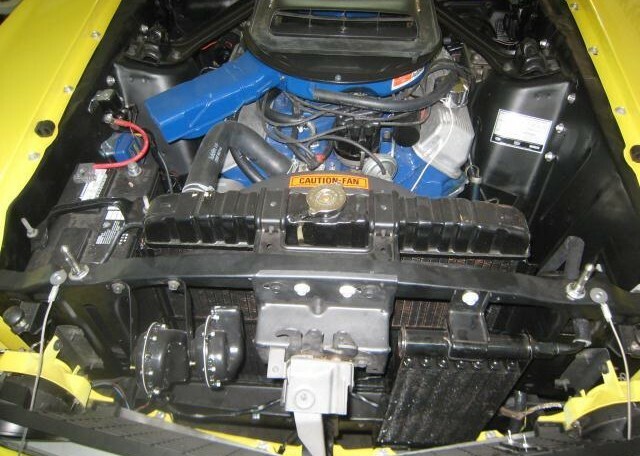 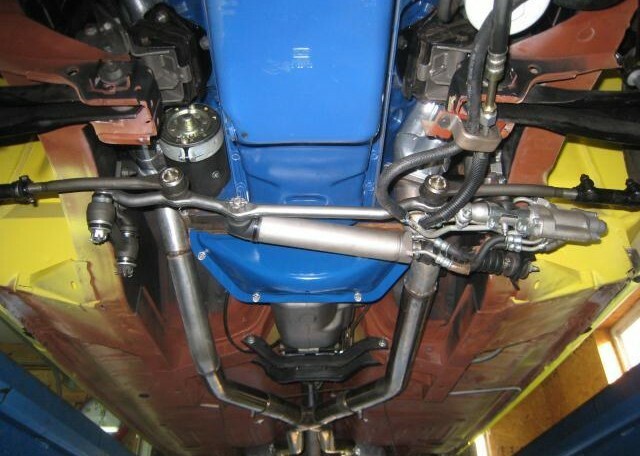 The correct Super Cobra Jet drivetrain was rebuilt to better then OEM standards with no expense spared, leaving us with a car that not only has performance to compete with any muscle car around, but also will have the durability to match! 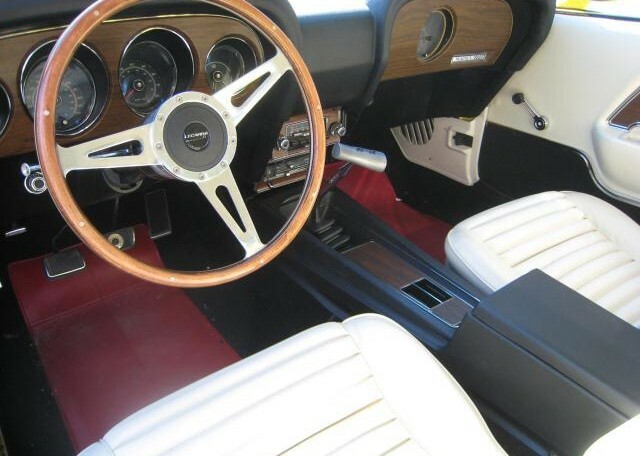 The beautiful eye popping paint and all new oem white interior is sure to turn heads. 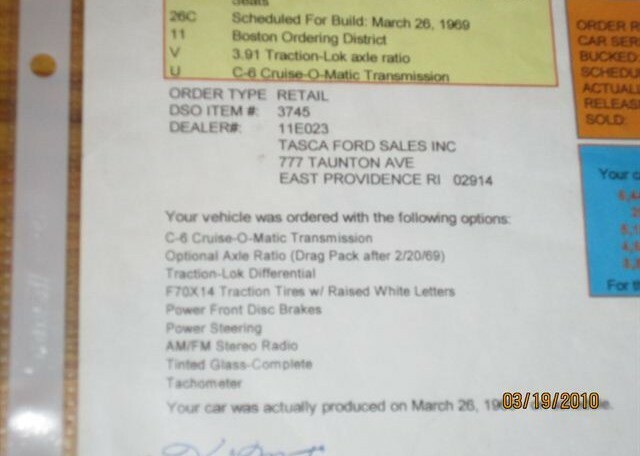 New suspension, brakes, power steering, fuel system, exhaust, wheels/tires, trim, lighting and glass will display a car which is essentially now a brand new car! 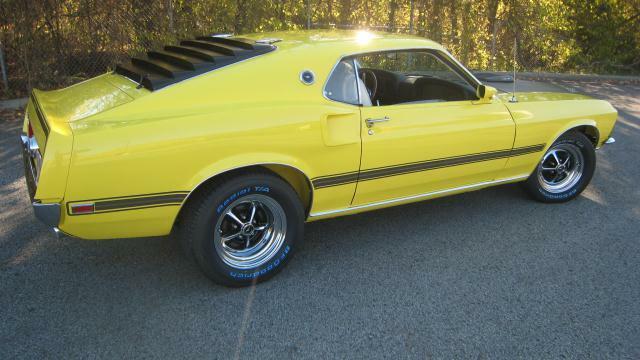 With over 100k invested in the 2 year restoration, she is now fully road tested and ready to enjoy.